The music we listen to now is often very different from the music we listened to when we were younger, but sometimes that music follows us throughout our lives. The music I listened to growing up is both very different and very similar to the music I enjoy now. To begin with, the format itself is very different. When I grew up, I listened to vinyl records and cassette tapes. 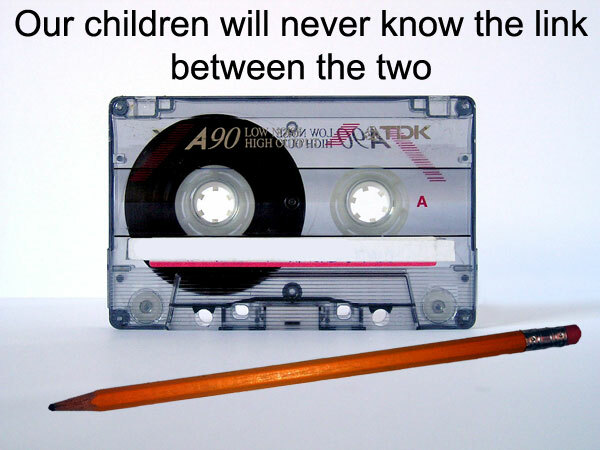 The other day, I was speaking to my kids about this very topic, only to be faced with “What’s a cassette tape, Mum?” Way to make me feel old! But I have such fond memories of sitting there for hours with my finger poised over the record button, ready to pounce when my favourite song came on the radio, or having fun with my brother and sister, recording our voices and giggling as we listened to just how we really sounded. Today’s technology just doesn’t have the same magic. Or is that my age talking? My very first cassettes (a birthday present from my parents) were John Williamson & Kylie Minogue. I played both of them for years – until I finally made the switch to CDs. And I still love both artists. Of course, like most children, I was forced to listen to a lot of my parent’s music. Unlike most children, I enjoyed much of that music. ABBA, The Beatles, Simon & Garfunkel – I love them all. The first song I remember really loving, to the point where I would hush my family if it played on the radio, was ‘Moon Shadow’ by Cat Stevens. I still love that song. I still listen to Cat Stevens. As a teenager, I had some quite unexpected tastes (though this was not displeasing to my parents). My Christmas request lists always included such favourites as Buddy Holly, The Mamas & The Papas, Glen Miller, The Andrews Sisters and Dr Hook – all of which I still enjoy listening to. That isn’t to say that I didn’t like any modern music. I was a healthy teenage girl after all. I listened to Bananarama, Madonna and Bon Jovi. I enjoyed Nirvana, Greenday and Silverchair. I drooled over New Kids on the Block, All-4-One and Boyz II Men. I liked my fair share of one hit wonders. I don’t mind hearing these songs and singing along when they come on the radio or anthology album, but I don’t go out of my way to acquire them. As I’ve gotten older, I have discovered a love for other artists – both new and old. It was my husband who introduced me to the joys of Billy Joel and Elton John, for example. Other artists I have discovered through online friends – The Indelicates is one such band. Some of my current favourites were discovered through AMVs. For example, I would never have even heard of Voltaire had I not seen the 07 Ghost – When You’re Evil AMV. I enjoyed this song so much, I looked up more of his work only to discover I very much liked most of the songs I listened to. I know intend to buy his albums. Do you still listen to the music of your youth? Or are your tastes completely different now?